Rev. Dr. Dominic Savio, S.J. takes over as the Principal of St. Xavier's College (Autonomous), Kolkata from Wednesday, 1st November. He succeeds Rev. Dr. J. Felix Raj, S.J., who has taken over as the vice-chancellor of St. Xavier's University, Kolkata. Fr. Dominic was appointed the Vice-Principal of the departments of Commerce (morning section) and Business Administration on 1st February 2009. 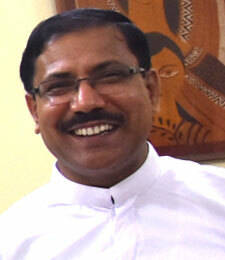 He was appointed the Rector of St. Xavier's, Kolkata on 2nd December 2013. He will continue to serve as the Rector along with his new responsibility as the principal. Further, Rev. Dr. S. Xavier, S.J. has taken over as the Vice-Principal of the department of Commerce (morning section) from the same date. Jan. 24: St. Xavier's College has become the first in Bengal and only the third college in the country to earn the highest grade of A++ in the new eight-point evaluation scale of the National Assessment and Accreditation Council (NAAC). The 157-year-old institute run by Jesuits scored a cumulative grade point average of 3.77 out of 4, the highest among the three institutes to be awarded the top A++ grade so far. St. Joseph's College Devagiri, Kozhikode, and Cotton College, Guwahati, are the other two institutes in the A++ league with an average of 3.76 each, a senior NAAC official said. The UGC had conferred on St. Xavier's the status of "College of Excellence" and "College with Heritage Status" in 2014 and 2015 respectively. "St. Xavier's College scored the highest NAAC score, A++ (3.77 CGPA out of 4), the highest so far in India for the third cycle accreditation by the NAAC," Reverend Father J. Felix Raj, principal of St. Xavier's College (Autonomous) announced today. "It is the fruit of our hard work. I want to thank my staff, students, their parents, alumni, benefactors and friends for their cooperation, interest and involvement in the college.... 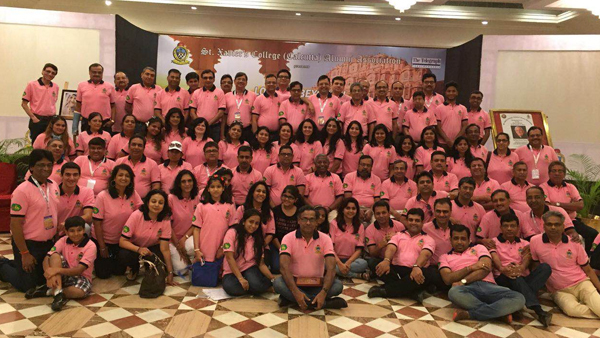 This is yet another milestone in our march towards educational service," Father Felix Raj said. The NAAC results were published in the morning. Colleges are being assessed by the NAAC on an eight-point scale since July 2016, when the new grading system took effect. 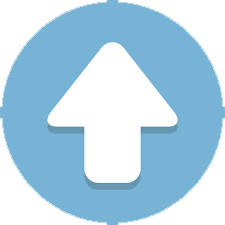 Grades were previously awarded on the basis of a four-point assessment scale. "St. Xavier's being a college, the focus during the inspection was more on teaching-learning and the evaluation process followed by the institute. While assessing a university, the focus is on research. But whether you are assessing a college or a university, it is difficult for any institute to secure the top A++ grade," a NAAC official told Metro from Bangalore. "The overall performance of St. Xavier's College was found to be far better than many other colleges in the country," he said. The criteria used by the council to assess institutes are curricular aspects, teaching-learning and evaluation, research, consultancy and extension, infrastructure and learning resources, student support and progression, governance, leadership and management, and innovation and best practices. 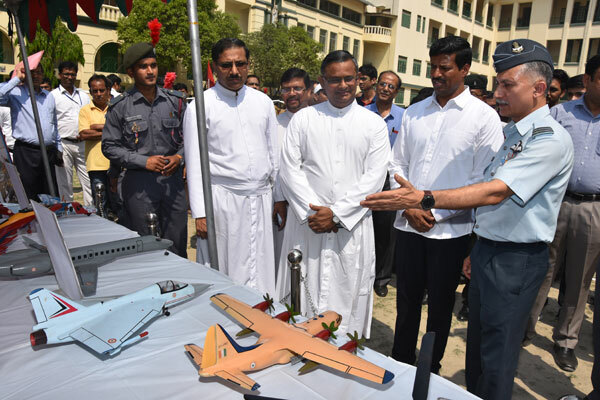 An NAAC team led by Prof. Arunoday Saha, former vice-chancellor of Tripura University, had visited St. Xavier's on January 9 and 10, Father Felix Raj said. Since revising the grading system last July, the NAAC has assessed 225-odd colleges in Bengal. The highest grade that any college had managed before St. Xavier's is an A, third in the new quality scale. Inspections by the council continue throughout the year. Accreditation and the grade assigned to each college is valid for five years. A college needs to apply for a re-evaluation once the validity of the rating lapses. St. Xavier's had scored 3.53 out of 4 in 2011. The NAAC has not only identified the strengths of St. Xavier's but also given suggestions for further improvement. 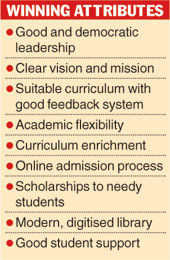 Father Felix Raj said the strengths identified by the NAAC peer team include "good and democratic leadership and governance system, clear vision and mission of the college, suitable curriculum with good feedback system, academic flexibility, curriculum enrichment, online admission process, catering to diverse student community, sound teaching -learning and evaluation system and faculty exchange programmes, international exchange programmes, collaborative and departmental research, adequate facilities, publications, extension activities like college to village and village to college, scholarships to needy students, modern and digitised library, good student support and progression and maintenance of its heritage status". The suggestions include more postgraduate and PhD courses, involvement of teachers in consultancy, more research in arts courses, extra flexibility in the choice-based credit system, new vocational courses and an academic staff college. She then announced with a magician - like flourish: " I can give you a little something. On behalf of our Government, we will give Rs 7 crore annually for the pay package." Father and Hasan met the London alumni/ae on October 1 afternoon and presented the SXUK Vision 2020. 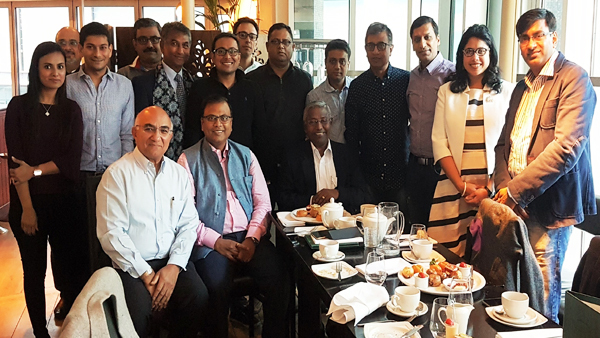 It was a fruitful meeting with meaningful interactions with all present. The London alumni will have a follow up meeting to plan for a fellowship gathering for all Xaverians in London by December and a fund-raising program sometime in March - April 2017. 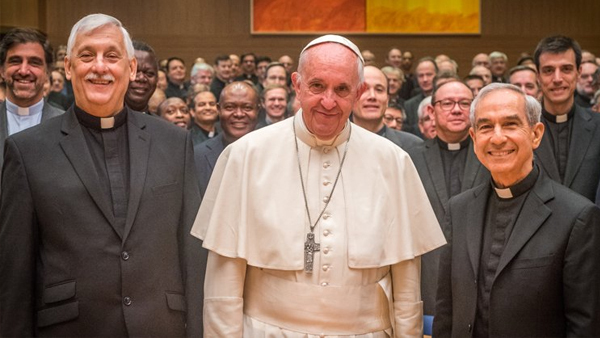 There is a well-established tradition that on the occasion of a Jesuit General Congregation, the Holy Father meets with the delegates. 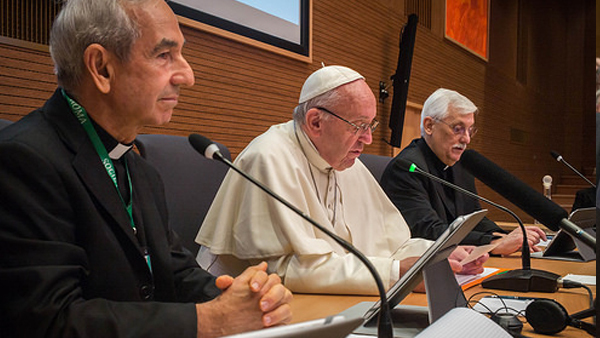 So this Monday, 24 October, Pope Francis came discreetly to the curia at 7.30 morning and was greeted by Father General Arturo Sosa and the Superior of the Curia community, Father Joaquín Barrero.. 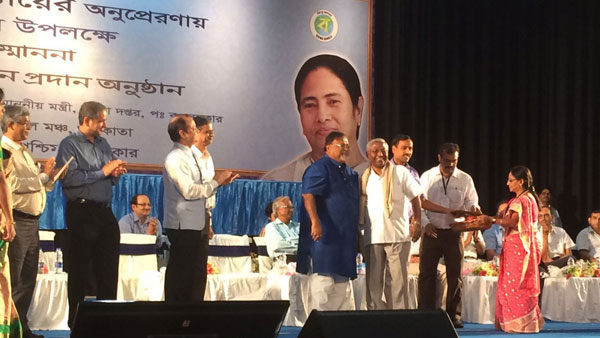 In the absence of the Honourable Chief Minister who is in Rome, the State Higher Education Minister, Shri Partha Chatterjee handed over the award. 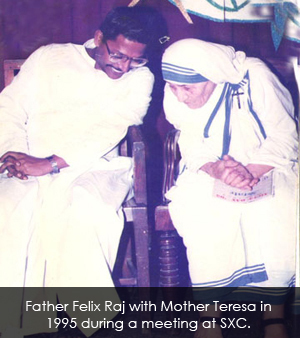 Earlier the State Government had conferred on him the State's highest award, BANGA BIBHUSHAN in 2014. .
Now that the canonization will be officially held in Rome, in St. Peter's Square on September 4, 2016, we express our gratitude to Pope Francis for his extraordinary gesture of approving the canonization of Mother Teresa. The following words of Mother have always inspired me. .
Fr. 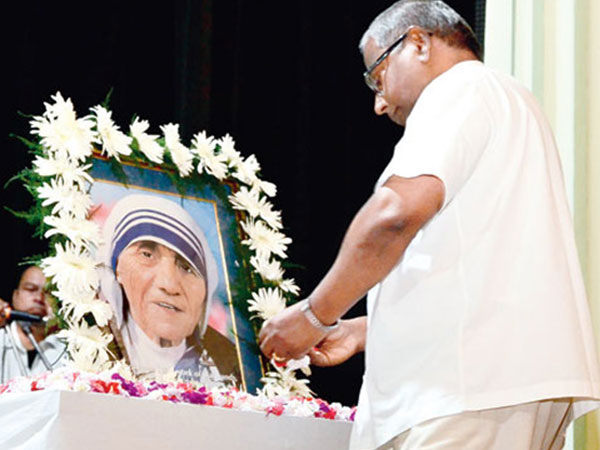 Felix Raj paying floral tribute to Mother Teresa. 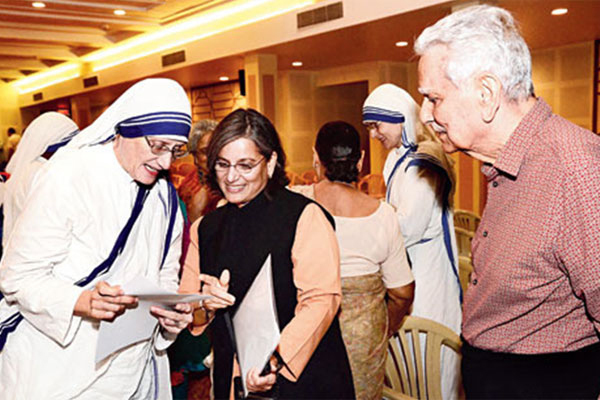 The Contribution of Mother Teresa to Humanity, a symposium on Mother Teresa, was held at the Fr. Depelchin Auditorium of St. Xavier's College on Sunday, August 7, 2016. The evening began with prayer songs like Make Me A Channel Of Your Peace by Voicestra, led by Nikhil D'Souza and the launch of Aamar Gaaner Majhe, a CD of Christian hymns sung by Father Shyamal Makhal and published by The Goethals Indian Library And Research Society. Father Provincial Jeyaraj Velusamy released the CD. 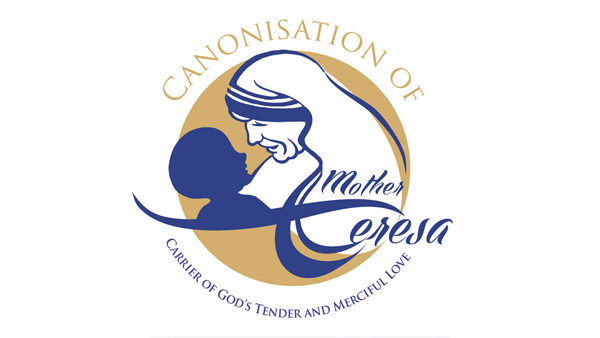 "The canonization of Mother Teresa gives all of us an opportunity to sufficiently and deeply reflect on her life and mission for the poorest of the poor. For us, she is the song of celebration, hymn of compassion," said Father Felix Raj (top), principal, St. Xavier's College. Tennis veteran Naresh Kumar and daughter Gita caught up with Sister Prema (above), Superior General of the Missionaries of Charity, on the sidelines of the symposium. Sunita Kumar, Naresh's wife, couldn't be there as one of the speakers for the evening, but daughter Gita read out her thoughts on 'Mother, a role model to be humane': "In the 30 years that I spent with her, I learnt all about life, especially to give love, dignity and service to the poor, irrespective of race and religion. She was a true saint.". Father Julian S. Das, James McGinniss and Father D. John Romus were the other speakers for the evening. In our hearts, Mother is already a saint, by virtue of her boundless devotion towards the downtrodden, irrespective of caste and creed - she has taken all into her fold. The official honour, the declaration of sainthood will take place on September 4, 2016 at St. Peter's Square, Vatican City, Rome. The living 'saint of the gutters', the ministering angel to millions, will be canonised. Mother Teresa was in close conclave with the Jesuit Fathers, particularly of St. Xavier's College. She held them in high esteem as retreat preachers and spiritual directors. They include Archbishop Ferdinand Perier, Cardinal Trevor L. Picachy, Frs.C. Van Exem, Julian Henry, Joseph Sanders, Edouard Le Joy, Camille Bouche, Antony Gabriel and Jose Cukale. 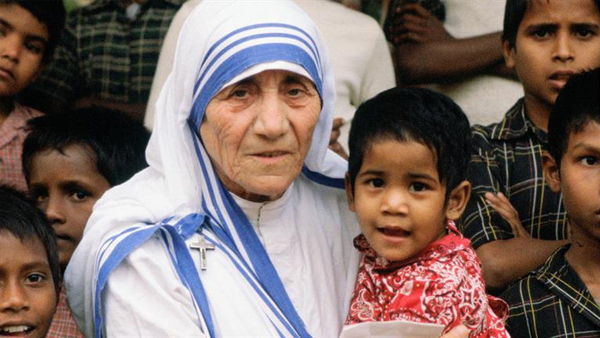 The City Of Joy, Kolkata, Mother's spiritual abode and the principal site of her missions of charity, is immensely gladdened by the news of her canonization. We await the auspicious occasion with overwhelmed joy and reverence. The Legendary playback Singer Asha Bhosle mesmerised the audience at Xavier's on Republic Day evening. Fr. Felix Raj, Principal blessed her while felicitating her with a College Uteria. The BB show was grand and overwhelmingly successful. 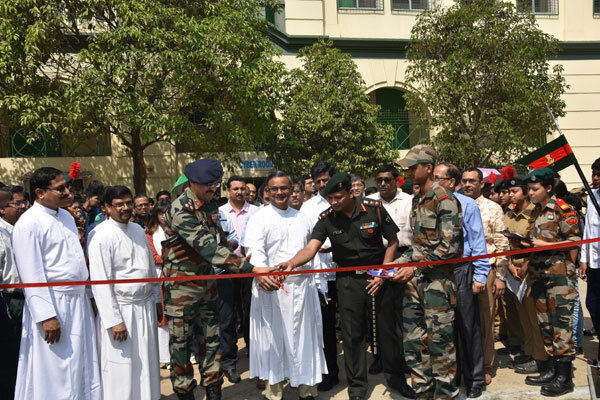 A Solar Power Plant with 46 KW installed capacity was inaugurated at St. Xavier's College, 30 Mother Teresa Sarani (Park Street), Kolkata on 23 December 2015, Wednesday at 11.30 am at the Rooftop of the New B. Ed and Library (old Hostel) Building. 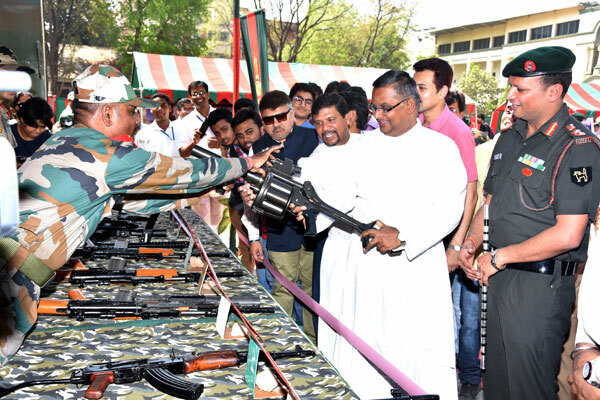 "This endeavour has been envisaged as a part of deep concern of the Jesuits on Environmental Issues and also as a follow up action of the recently concluded Climate Change Conference in Paris (COP-15)", said Fr. 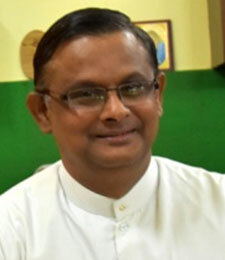 Felix Raj, SJ, the Principal. This Green Energy producing Solar Power Plant is the largest among all the colleges in the Eastern part of the country. Shri Manish Gupta, Hon’ble Power Minister of West Bengal inaugurated the new Plant and Shri Santanu Basu, IAS, Chairman & Managing Director, West Bengal Power Development Corporation, was present. Fr. Principal profusely thanked Shri Manish Gupta. Shri Santanu Basu and Fr. Xavier Savarimuthu for the inspiration and support. He also thanked the Vikram Solar company for the successful implementaion of the project within a short duration of three months. St. Xavier's College has inducted LN Mittal, the steel magnate and the chairman and CEO of ArcelorMittal, the world's largest steelmaking company into its Governing Body (Board of Governors) with effect from July 2015. Mittal has gladly accepted his alma mater's offer. 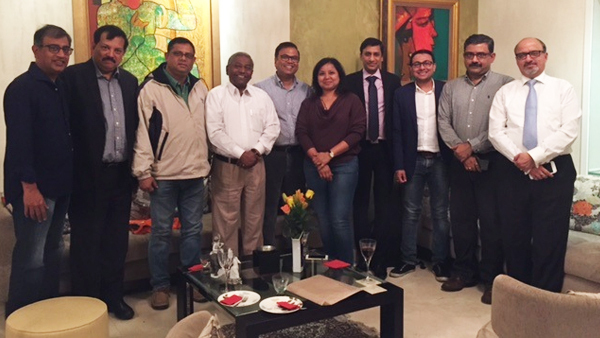 "We are indeed happy and privileged to have Mr. Mittal as a member of our Board. We selected him as a Xaverian and an industrialist. I am confident that his close association with Xavier's and his global experience will enrich our institution," Fr. Felix Raj, the Principal said. The College Alumni Association conferred on Mittal the "Global Xaverian" award in 2013 in London. Mittal then expressed his plan to assist the college in its SXC Vision 2020. St. Xavier's College [Autonomous], Kolkata does not encourage or participate in any kind of assessment conducted by any commercial agency. 2. A "College of Excellence" awarded by the UGC.